← The Everything DASH Diet Cookbook! GIVEAWAY! TWO Low Sodium Marinades! GREEK and LATIN ~! Friends! I haven’t purposely abandoned you! I have, however, taken a job. One that’s been keeping me far busier than expected – in a good way – as well as liberating me from the computer – also good. :) I promise to continue posting, answering email, questions, comments, etc. as time permits. Please, just be patient with me! THANKS. Today’s recipe is for two tasty and SUPER low-sodium marinades I found in a newspaper circular over the weekend. Their creator, Steven Petusevsky, is a wonderfully creative chef from Florida who’s written not only The American Diabetes Association Vegetarian Cookbook but The Whole Foods Market Cookbook as well. If you have time, check out his site, StevenPetusevsky.com; he offers other low-sodium recipes that sound amazing. Measure ingredients into a mixing bowl and whisk well to combine. Yields enough marinade to marinate 2-3 pounds of chicken, fish, tofu, etc. Measure ingredients into a mixing bowl and whisk well to combine. Yields enough marinade to marinate 2-3 pounds of beef, pork, chicken, tofu, tempeh, etc. This entry was posted in Marinades and tagged Relish.com, Steven Petusevsky. Bookmark the permalink. 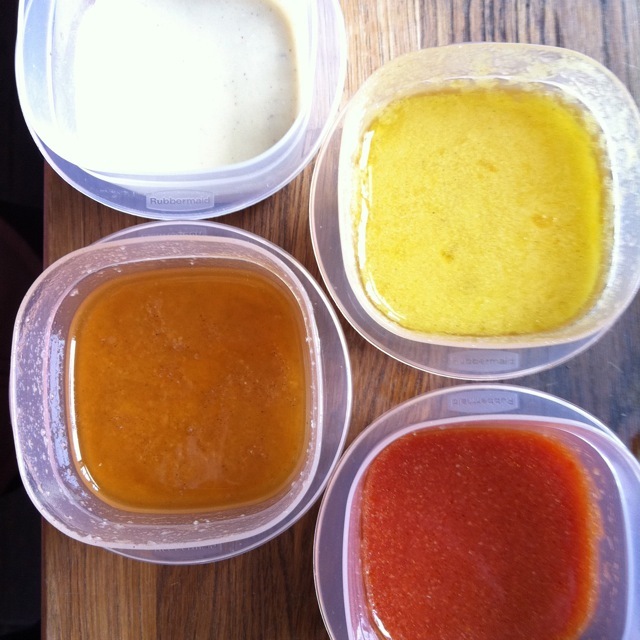 4 Responses to TWO Low Sodium Marinades! GREEK and LATIN ~! Thank you so much for the recipes and directing us to Steve’s site. I will definitely be making these marinades. Awesome Lucy! Hope you enjoy. Thank you! Your site has been invaluable as we help my in laws adapt to a low sodium diet. Your recipes have definitely made the transition easier. Thanks so much, Nancy! Your comment totally made my day.